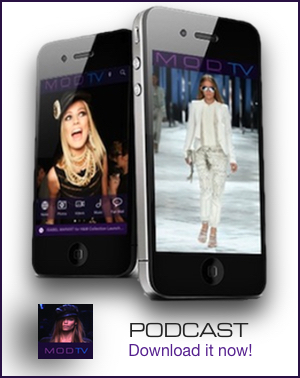 By: Team MODTV on Apr 12, 2013, 11:06. DSquared2 is designing the costumes for Beyoncé upcoming world tour. According to WWD, Beyoncé called on DSquared2 designers Dean and Dan Caten to create her looks for her Mrs. Carter Show World Tour, which kicks off Monday, April 15th in Belgrade. Beyonce Mrs Carter Show World Tour hits cities from Zagreb to Manchester and Oklahoma City to Brooklyn on Aug. 5 — Knowles will be seen in outfits the DSquared2 designers created especially for her. While the finer details of the designs are being kept firmly under wraps for now, British Vogue said that a spokesperson for the Dsquared2 confirmed that a “show-stopper of an outfit” will be in keeping with the – influenced by supermodels of the Nineties. “Beyonce chooses to wear a unique outfit created exclusively for her by Dean and Dan Caten, inspired by an item from the 2013 spring/summer Glamazon catwalk show,” they confirmed. Go backstage at DSquared2 Spring/Summer 2013 collection and watch our exclusive fashion video with Dean and Dan and top model Cara Delevingne. Check out our DSquared2 Spring 2013 Photo Gallery by photographer Robert Fairer.